Sometimes there are people in your life that take a chance on you and you don’t see the difference that chance made until you look back. When my mom found an art internship for me my sophomore year of college, I went into the interview process as a naïve young student. I didn’t wear a suit (because I didn’t own one) nor did I even bring a proper portfolio. But for some reason, the art director still hired me. Once I graduated and a position opened up, she called me into her office and asked if I wanted to work there full time. After getting a year of full time experience, she once again called me into her office when a past coworker (who left to work at a scrapbook company) came for a visit. She left me and the coworker alone to chat, which lead me to my next job in the scrapbooking field, a field she knew I loved. All these early steps molded who I am today. Why am I sharing this, you ask? 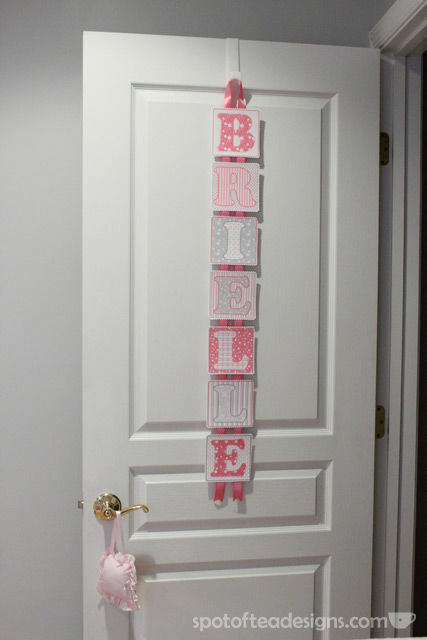 Because I recently reconnected with this art director, Penny, who created this adorable card and panels spelling out Brielle’s name. You’ve seen the great work of my longtime friend Mary quite a few times now but here’s one more handmade creation! 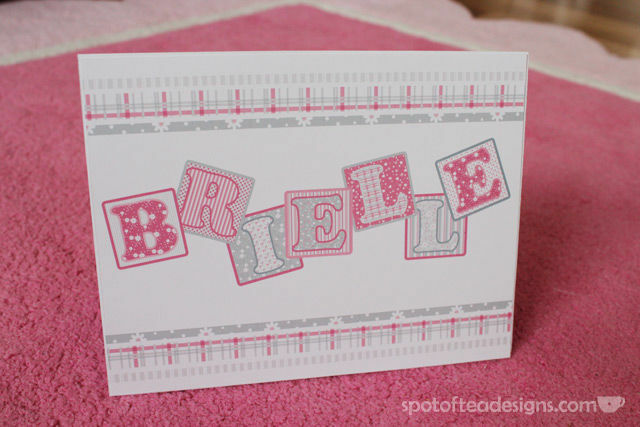 She made Brielle this adorably trendy bright blanket! 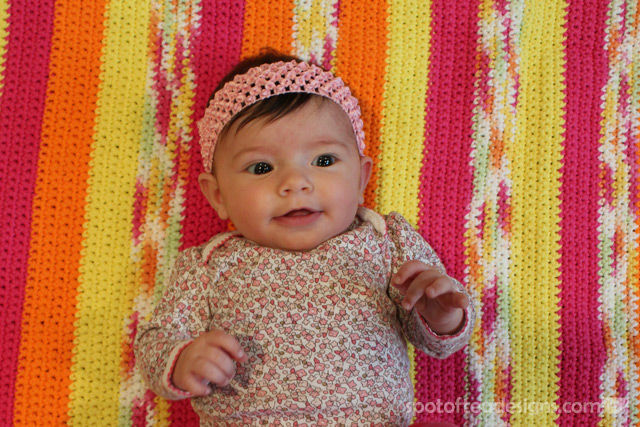 This girl is never going to be cold with all the fabulous handmade blankets she received! That’s so sweet of Penny! Btw what a beautiful little girl! Ok… she is GORGEOUS! And she looks like she has the sweetest personality!